Back in the 1800s, the American Flag changed every couple of years. Every time they added a new state, they added a new star. By the twentieth century however, Manifest Destiny had run its course and the US stopped adding new states all the time. After the admission of Arizona and New Mexico in 1912, there were no more territories in the contiguous United States. The flag froze at forty-eight stars, arranged in a simple 8-by-6 grid. It was under this flag that we fought World War I and World War II. It was under this flag that we became a Superpower. Then in 1959, the US admitted two more states: Alaska and Hawaii. Since then, we’ve had 50 stars on our flag. But many people don’t realize that there was a 49-star flag used in the interim. This is the story of this little-known design. 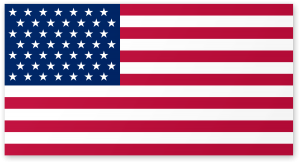 After a variety of designs during the American Revolution, the nascent United States settled on a flag with 13 stars and 13 stripes, representing the 13 states. Soon after framing a new constitution, the US admitted Vermont and Kentucky to the Union. To reflect the change, they designed a flag with 15 stars and 15 stripes. Then they added Tennessee, Ohio, Louisiana, Indiana and Mississippi. With 20 states and a whole lot of unincorporated land, Americans realized that the flag would start to look pretty silly if they kept adding stars and stripes. The flag remained unchanged until 1818. That year, President Monroe signed a bill mandating 13 stripes for the original Thirteen Colonies, and a number of stars reflecting the current number of states. That law also stipulated that, whenever a new state was admitted, the flag would change the following Fourth of July. Alaska was admitted to the Union on January 3, 1959. According to the 1818 law, the 49-star flag became official 6 months later, on July 4, 1959. Just a month after that, on August 21, Hawaii was admitted as well. However, the flag would not officially change for almost a year. But here’s the thing, everyone knew the flag was going to change. So if you were looking to buy an American Flag in late 1959 / early 1960, would you choose a 49-star flag, knowing it would soon be out-of-date, or a 50-star flag, which wasn’t yet official? Many people opted to buy the new design, and the 49-star flag was relegated to obscurity. If you were opening a business or a school in late 1959, you would probably opt for the 50-star design. But there were still quite a few people buying 49-star flags. After all, it was a collectible. It was a historical curiosity. And with a seven-month gap between the admission of Alaska and Hawaii, there were plenty of 49-star flags lying around in warehouses. Many people bought them up with the intent of reselling them years later. So many people bought them, in fact, that they’re not really that rare nowadays. A quick search of eBay will turn up dozens of vintage 49-star flags for around twenty bucks. So even though the 49-star American Flag isn’t very well-known, it’s still pretty common. Are You Going to Scarborough Faire? Thank you for the information. I just bought a 49 star flat, complete with original box, at a Discovery Shop. Yes, I was around in 1959 but didn’t think to buy one then. Nice to know a Texan wrote this article. I’m a native Washington State person, but my son, his wife and their 4 children moved to Austin 5 years ago, so, of course, I visit often. My high school had a 49-star flag hanging in its gymnasium. In 1980. Hahaha! That’s amazing. Reminds me of a Simpsons episode where Superintendent Chalmers is counting the stars on the flag in the classroom to make sure it has 50. I always wondered why the 49-star flag had a staggered design. Why not align the stars like the 48-star flag? Does anyone the story behind the odd alignment? After Alaska was admitted to the union, a 49 star flag would become official on July 4, 1959. It was well known that Hawaii would soon be admitted as the 50th state, and a 50 star flag had already been designed with staggered rows. This flag would become official on July 4, 1960. 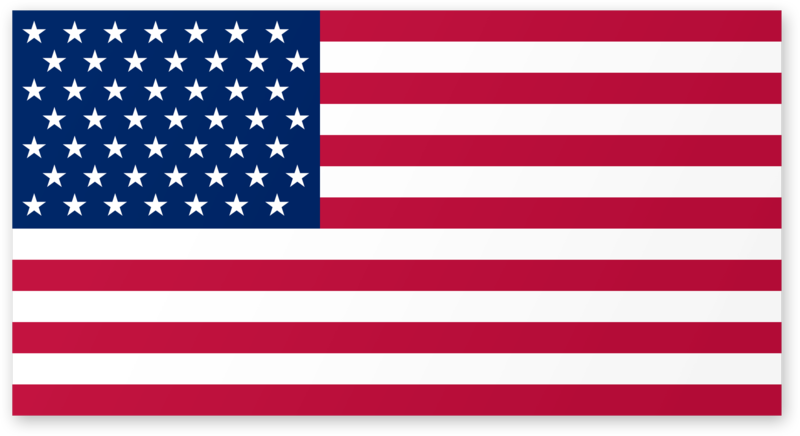 The 49 star design began the transition from aligned to staggered rows of stars, and therefore the change of design from 49 to 50 stars would not be so striking. The presidential order was that the rows were to be staggered as seen in most photos and flags. However, there were some made (fewer) with seven rows of seven stars evenly aligned. I have only seen one of these and only on a black staff (stick) for mounting in the classroom. It is the normal size for classroom, not the smaller size popular for hand waving. I believe I have the one I described in storage. That’s really cool. I didn’t know that. I suppose the 49-star-flag wasn’t around long enough to be truly standardized. Companies were just churning them out to make a quick buck.